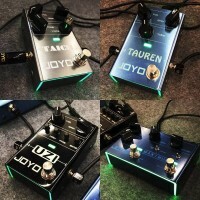 JOYO JF-34 US dream distortion pedal featuring true-bypass wiring, quality components and an efficient circuit design, the JF-34 US dream distortion performs like any other high-end boutique distortion pedal, but has a price point that allows entry level and beginner players to get a taste of this type of pedals expressiveness. 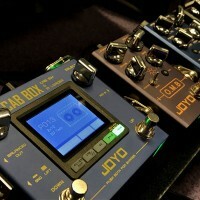 The US Dream is another pedal that hits it out of the park from Joyo. A massive sound from such a small enclosure. 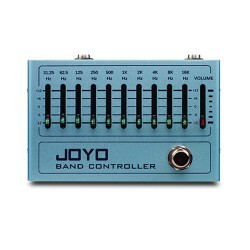 Think of a fully turned up 100 Watt Stack roaring away, that's what this pedal sounds like. With a huge amount of gain on tap and a tone control that lets you dial in the exact sound you're after you can transform you're clean amp into a huge snarling stack. This pedal really is a high gain dream, it'll earn a place on anybody's pedal board. Even with the gain cranked the pedal is still very quiet and gives off very little noise. The US Dream adds lots of harmonics to your tone and make pinch harmonics the easiest thing in the world to coax from your guitar. 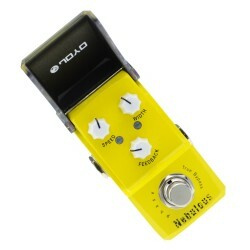 A pleasure to have a great Demo from Roy Fulton on this great pedal. 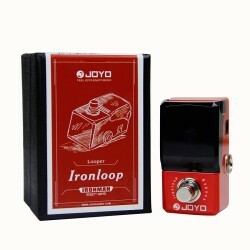 Cant promise it will make you play so well.. but the sound is all ROYO on the JOYO... check out his jams, inspiring!